Practical Scrappers challenge for this week is using fabric, felt or tulle. I made three very girly minibooks and embellished them using tulle. You can have a peek inside the minibooks by clicking here or scrolling down. I only used scraps for these books, so you'll see a little bit of every pink leftover in my statsh! There's also a sketch challenge starting today, based on a great sketch by Pia. Here's my take on it, visit Practical Scrappers to check the sketch and see what it inspires you to create! These mini albums are fantastic!!!! So pink and girly, I absolutely LOVE them. You are so creative girl! Your princess mini albums are simply adorable!! 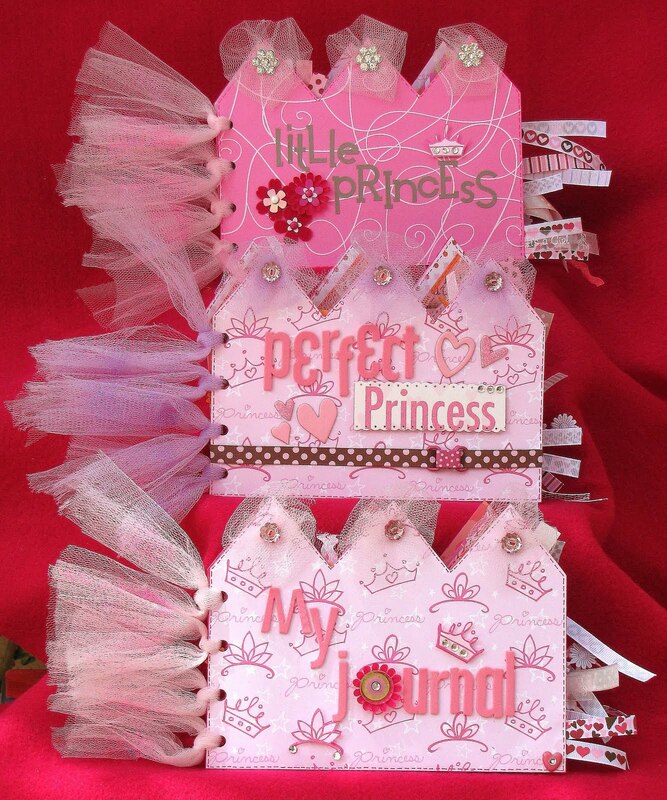 every little princess would love these!! And you also did a fabulous job with the sketch!! Nice work! !